Are we in imminent danger of extinction? Yes, we probably are, argues John Leslie in his chilling account of the dangers facing the human race as we approach the second millenium. 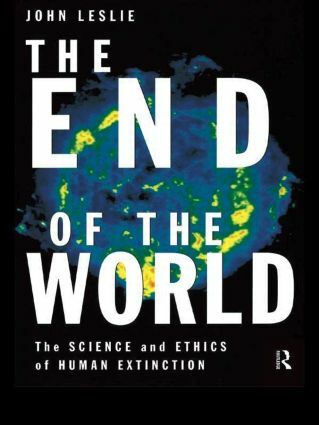 The End of the World is a sobering assessment of the many disasters that scientists have predicted and speculated on as leading to apocalypse. In the first comprehensive survey, potential catastrophes - ranging from deadly diseases to high-energy physics experiments - are explored to help us understand the risks. One of the greatest threats facing humankind, however, is the insurmountable fact that we are a relatively young species, a risk which is at the heart of the 'Doomsday Argument'. This argument, if correct, makes the dangers we face more serious than we could have ever imagined. This more than anything makes the arrogance and ignorance of politicians, and indeed philosophers, so disturbing as they continue to ignore the manifest dangers facing future generations.